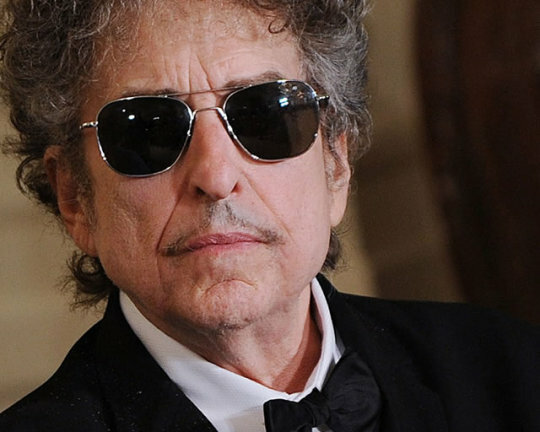 For his only interview to promote his new album, Shadows In The Night, Bob Dylan spoke to Robert Love, editor of AARP Magazine. That makes sense since the magazine reaches 35 million 50+ year olds, a prime audience for the album, although I think folks of all ages would dig the coolness of Dylan taking on songs made famous by Frank Sinatra. Here’s the beginning of the interview, including some great thoughts about music and rock ‘n’ roll in the final graph. NOte that a longer version of the interview will appear in the February issue of ARRP magazine. Q: It’s going to be some-thing of a surprise to your traditional fans, don’t you think? A: Well, they shouldn’t be surprised. There’s a lot of types of songs I’ve sung over the years, and they definitely have heard me sing standards before. Q: You are very respectful of these melodies — more than you are of your own songs when you perform. A: I love these songs, and I’m not going to bring any disrespect to them. To trash those songs would be sacrilegious. And we’ve all heard those songs being trashed, and we’re used to it. In some kind of ways you want to right the wrong. Q: I noticed that Frank Sinatra recorded every one of these songs. Was he on your mind? A: When you start doing these songs, Frank’s got to be on your mind. Because he is the mountain. That’s the mountain you have to climb, even if you only get part of the way there. And it’s hard to find a song he did not do. He’d be the guy you got to check with. People talk about Frank all the time. He had this ability to get inside of the song in a sort of a conversational way. Frank sang to you — not at you. I never wanted to be a singer that sings at somebody. I’ve always wanted to sing to somebody. I myself never bought any Frank Sinatra records back then. But you’d hear him anyway — in a car or a jukebox. Certainly nobody worshipped Sinatra in the ’60s like they did in the ’40s. But he never went away — all those other things that we thought were here to stay, they did go away. But he never did. Q: Do you think of this album as risky? These songs have fans who will say you can’t touch Frank’s version. A: Risky? Like walking across a field laced with land mines? Or working in a poison gas factory? There’s nothing risky about making records. Comparing me with Frank Sinatra? You must be joking. To be mentioned in the same breath as him must be some sort of high compliment. As far as touching him goes, nobody touches him. Not me or anyone else. Q: So what do you think Frank would make of this album? A: I think first of all he’d be amazed I did these songs with a five-piece band. I think he’d be proud in a certain way. Q: What other kinds of music did you listen to growing up? A: Early on, before rock ’n’ roll, I listened to big band music: Harry James, Russ Columbo, Glenn Miller. But up north, at night, you could find these radio stations that played pre-rock ’n’ roll things — country blues. You could hear Jimmy Reed. Then there was a station out of Chicago, played all hillbilly stuff. We also heard the Grand Ole Opry. I heard Hank Williams way early, when he was still alive. One night, I remember listening to the Staple Singers, “Uncloudy Day.” And it was the most mysterious thing I’d ever heard. It was like the fog rolling in. What was that? How do you make that? It just went through me. I managed to get an LP, and I’m like, “Man!” I looked at the cover, and I knew who Mavis was without having to be told. She looked to be about the same age as me. Her singing just knocked me out. This was before folk music had ever entered my life. I was still an aspiring rock ’n’ roller. The descendant, if you will, of the first generation of guys who played rock ’n’ roll — who were thrown down. Buddy Holly, Little Richard, Chuck Berry, Carl Perkins, Gene Vincent, Jerry Lee Lewis. They played this type of music that was black and white. Extremely incendiary. Your clothes could catch fire. When I first heard Chuck Berry, I didn’t consider that he was black. I thought he was a white hillbilly. Little did I know, he was a great poet, too. And there must have been some elitist power that had to get rid of all these guys, to strike down rock ’n’ roll for what it was and what it represented — not least of all it being a black-and-white thing.